How Do Heat Pumps Manage Both Heating and Cooling? Choosing a new heater for your home is one of the biggest decisions that you’ll have to make as a homeowner. It doesn’t matter if you are investing in a new heater for a new home for the very first time, or if you are replacing an old heater that has served you well for many years. You need to know for certain that you are making the right choices about your new heater every step of the way. For many, this process leads them directly to the furnace. Furnaces are very popular, and for very good reason. We’ll get into a few of them below. For now, we just want to remind you that you still have a decision to make even after you narrow your choices down to a furnace. Both gas and electric furnaces have their pros and cons, after all. Whichever you choose, our furnace check-ins in Colorado Springs, CO, are just what you need to keep your system functioning properly. 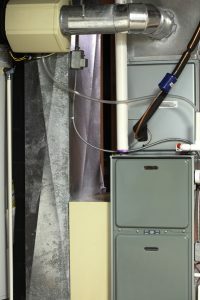 Furnaces are forced air heating systems. That means that they heat air directly, and that they then distribute that heat throughout the air via a system of ductwork. When you have a good furnace professionally installed and your air ducts are in great shape, this is a very efficient way in which to heat your home. It is also very prompt. Radiant heating systems have the upper hand in certain regards, but they can’t adjust temperatures as quickly as a furnace. Natural gas is the preferred fuel source for furnaces. When you use natural gas, you don’t need to schedule fuel deliveries and you do not need to store fuel on-site. That’s because natural gas is piped directly to your home. Natural gas is a combustible fuel, obviously, so you need to be certain that you have your gas piping and hookups installed by trained professionals qualified to do the work. Now, some homes don’t have existing gas piping installed. While it can be installed in existing homes, some homeowners also just don’t want to use natural gas in their homes. Others don’t have the option due to location. In such cases, an electric furnace is definitely worth your consideration. They’re just as effective as gas furnaces, and their also cheaper. They can share ductwork with a central AC, just like the gas furnace, too. They are even more efficient, because they do not lose any heat due to flue gas release. Efficiency does not always equal affordability, though. Remember that electricity itself is more expensive than natural gas. So, even though the system is more efficient than a gas model, the electric furnace still typically costs more to run than a gas furnace would. Our annual furnace check-ins and tune-ups are just what you need to ensure that you’re getting the most efficient and reliable performance possible from your furnace. Schedule your gas and electric furnace services with the professional technicians here at Robbins Heating & Air Conditioning.